Fugitive gangster Dawood Ibrahim is still in Pakistan, his brother Iqbal Kaskar has told the interrogators from the Intelligence Bureau and the Thane police's crime branch, officials said on Thursday. Thane police arrested Kaskar two days ago in Mumbai in a case of extortion. "Along with crime branch officials, Iqbal is also being questioned by the IB officials for the last two days and he has provided some vital information related to Dawood and his whereabouts," said a senior official of Thane police. Kaskar, according to the official, confirmed that his brother, wanted in several cases including the 1993 Mumbai blasts case, is in Pakistan. 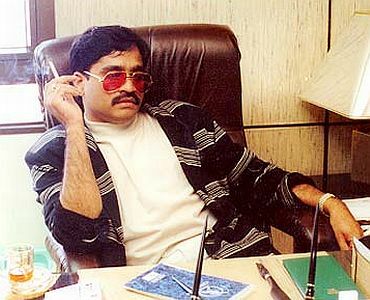 Dawood is of late wary of calling his relatives or his men in India on phone for fear of tapping, he said. Kaskar also told the interrogators that he has spoken with his other brother, Anees Ibrahim, who lives with Dawood, only four or five times in the recent past. The information given by Kaskar will help in the investigation of several cases registered against the members of Dawood gang in Mumbai, Navi Mumbai and Thane, the official said. According to the police, Dawood's drug business has spread to Africa and even South America, while Kaskar looks after his 'real estate business' in Mumbai area. The crime branch has also sent a team to Bihar to probe the present case, as the shooters hired to scare the complainant had been hired from there, the officer said. Two more persons have come forward to complain about the extortion racket run by the Dawood gang in Mumbai-Thane area since Iqbal's arrest, and the police are expecting at least a dozen more complaints. The police are likely to give protection to the complainants, the official said. Kaskar and his associates had allegedly been threatening a prominent builder in Thane in Dawood's name since 2013 and had extorted Rs 30 lakh and four flats from him. Kaskar was deported from the UAE in 2003.